The industry is constantly looking for ways to bolster login security. 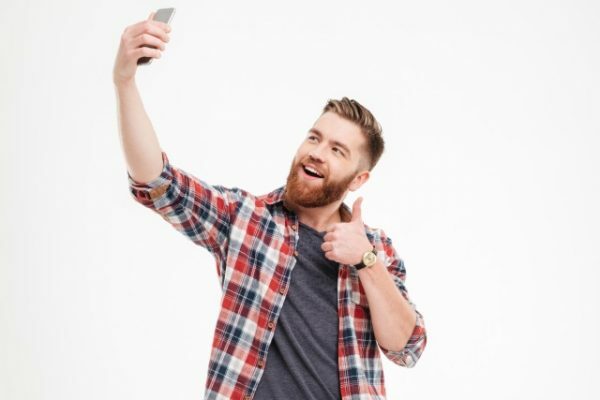 Multi-factor authentication and knowledge-based systems are popular but can be cumbersome, so how about using something you carry around all the time, yourself -- or indeed yourselfie? Identity specialist Jumio is launching Jumio Authentication, a video-selfie authentication tool enabling users to verify themselves during high-risk transactions and unlock everything from online accounts to rental cars, replacing passwords on any device. "As more of our important interactions move online, establishing trust digitally has become critical," says Stephen Stuut, CEO of Jumio. "Jumio is pioneering selfie-based authentication to allow businesses to leverage biometric user data captured during enrollment and re-verify that data in the future. With our new selfie-based authentication, users are not required to repeat the identity proofing process again -- they just take a quick selfie -- and as the digital chain of trust grows, so does the security level." Jumio has integrated the world's first iBeta Level 1 and Level 2 Certified anti-spoofing technology, ZoOm 3D Face Login with TrueLiveness Detection from FaceTec, into its online identity verification suite to capture and process the user's face images taken from any 2D mobile device camera or webcam. These face frames are then reconstituted to create a 3D face map which contains over 100 times more liveness data than a 2D photo. To use Jumio Authentication a user takes a photo of a government-issued ID (driver's license, passport or ID card) and then takes a video-selfie, which is instantly analysed via AI to determine that they are living human. The selfie is compared to the picture on the ID document to reliably establish the digital identity of the new user. Later when the user wants to log into their account or whenever a high-risk transaction needs authenticating, Jumio Authentication allows the user to take another video-selfie (where a new 3D face map is created), which is then compared to the original face map, verifying the user and unlocking the account. You can find out more on the Jumio site.